Hey everybody, I hope you all had a great holiday season! Mine was especially great, I got engaged to the best dude on the whole planet. No offense to any of y'all's partners, but I snagged the best one. 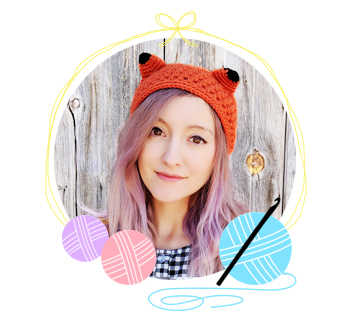 But anyway, let's talk about my new free crochet pattern! New backdrop alert! Isn't it pretty? My piece is about 17" long. My head is 22" so obviously my elastic is quite stretchy. 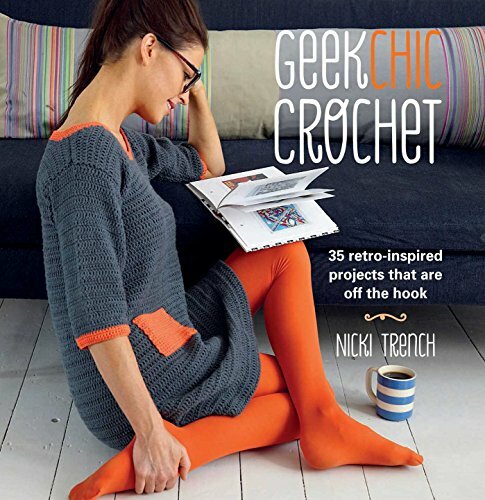 Next we'll start crocheting! Make a chain of 9, then dc into the first chain, with it wrapped around your elastic. 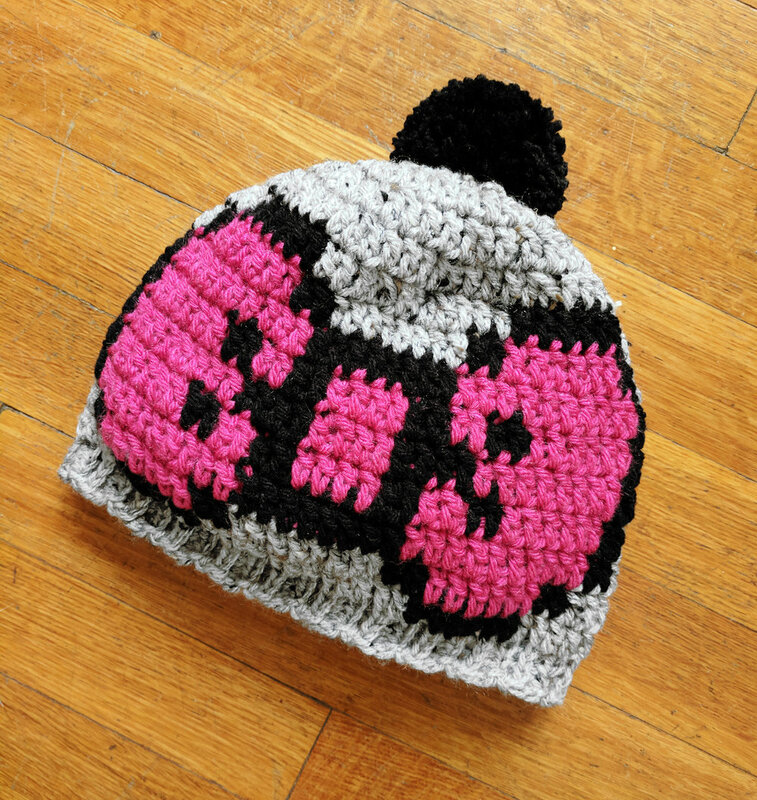 Now you'll continue dc'ing in each stitch until it's long enough, basically. You don't need to join rows, or even need to worry about making even rows, but I recommend you use a stitch marker for this, because it's easy to miss stitches with bernat pipsqueak. With the stitch marker, you can easily count and make sure you got 9 dc in each row. You won't be finished when you reach the end of the elastic, you have to do a few more rows after. In the photos below, the one on the left isn't quite finished yet. Once you think you're done, sew the ends together loosely and try it on. Make any adjustments you need, then undo the tying, finish off your last row, and use the tail to sew them together. I ended up with 31 rows, but yours might vary. Make a magic ring of 6sc. For those of you who don't need much instruction: Next row inc to 8, then 12, then 15, then no inc & do 15 again. 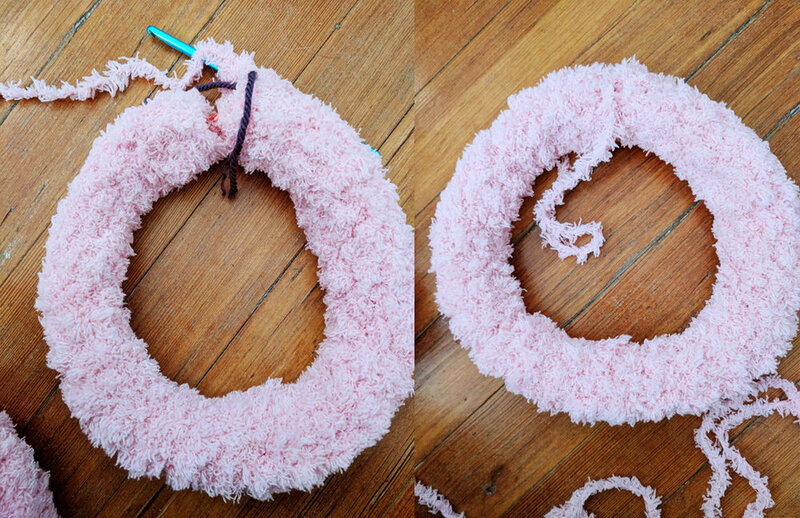 Finish off & sew to headband. Keep in mind, the gap between the ears will stretch, so don't sew them too far apart! My ears have just 2 dc rows between them, so that'll probably work well for yours, too! I hope you guys enjoyed my first free pattern of 2018! Maybe this will be a perfect christmas gift this year. :) Yeah okay it's 12 months away, whatever! It's never too early to start those handmade gifts.